Fort Severn at Contrecoeur, Québec shortly before being broken up. 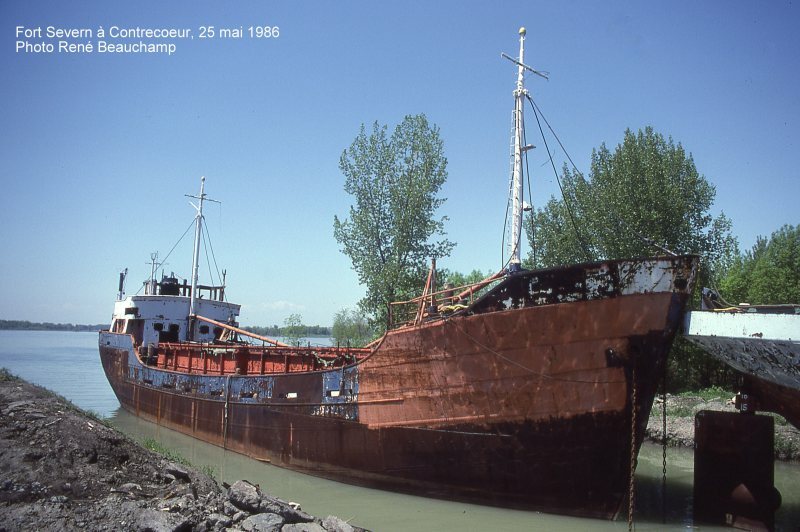 ex BARA, after one year under Dutch flag already sold to Canadian owners in 1955 and stayed in Canada for more then 30 years. Once owned by the Hudson Bay company, would that be the same company which today owns many department stores in Europe?